Condoling the death of veteran journalist Kuldip Nayar, BJP president Amit Shah said today that his firm stand against the Emergency can never be forgotten and his demise is a loss to Indian journalism. The eminent journalist and author, who fiercely fought for press freedom and protecting civil liberties, passed away early today. He was 95. 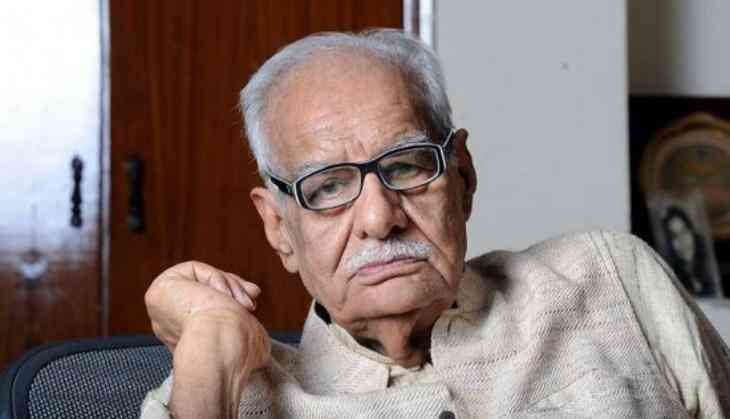 "My condolences on the sad demise of veteran journalist & former Rajya Sabha member, Kuldip Nayar ji. I had met him a few months back. He was full of energy and humour. Nayar ji's firm stand against Emergency can never be forgotten. His passing away is a loss to India's journalism," Shah said in tweet. He had met Nayar on June 9 as part of his party's 'Sampark for Samarthan' (contact for support) campaign.